As April approaches, things heat up in Thailand. It's no wonder then that the New Year festival of Songkran, which falls right in the middle of Thailand's hottest month, is celebrated with a heavy focus on water. 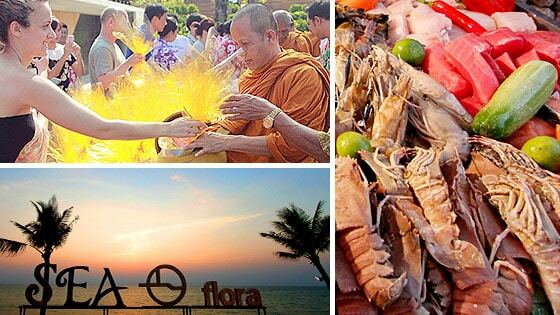 In the past, Songkran was a time to pay respect to your loved ones and bring good fortune for the year to come. Traditional Songkran ceremonies included cleaning Buddha statues by pouring blessed water over them. It didn't take long though to figure out the water was best used to cool down! 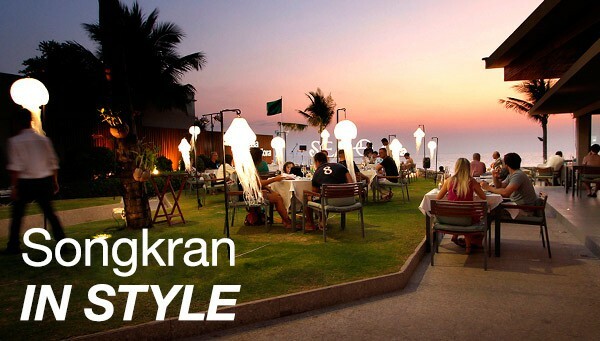 Nowadays, Songkran is a hedonistic mix of tradition and frivolity. The country shuts down for 3 days to welcome the New Year with massive out-door water fights that all but consume the larger cities. As exciting as this festival is though, non-stop partying isn't for everyone! So if you feel the need to take it slow this Songkran, we have just the thing. Our approach to the Thai New Year festival embraces the old and the new, as well as one of the best aspects of Thailand - the food! You can begin the day by making offerings to local Buddhist Monks for good fortune in the new year. Keeping the spiritual theme, you'll then have the opportunity to release fish into the sea, a traditional custom called Ploy Pla. Later in the day the whole resort comes together for a communal water fight and you'll have an opportunity to do something you've never done before: battle hotel staff with water pistols! As the sun sets, the real fun starts with the Sea Flora theme night. Get in the mood with gourmet cocktail food and underwater themed decorations scattered throughout the garden, then settle in for a serious seafood session. Our chefs will prepare a massive banquet of fresh Salmon and Tuna, Lobster, Prawns, Clams and Hoi Shuck Teen (our local delicacy) and much much more, ready to be grilled to order and served at your table.